The most sweeping tax reform act since the 1986 overhaul has been signed into law. So, what does it mean for you? No matter what side of the political spectrum you’re on, there is a lot here to digest so here is a rundown of the most relevant provisions affecting our friends in the landscape and lawn care business. The C corporation rate is lowered from a maximum of 35 percent to a maximum of 21 percent. This is the most far-reaching reduction of taxes in the legislation. While it won’t affect most of us in our businesses, lawmakers believe that lowering this rate will cause large corporations to reinvest the savings into creating jobs. On the other side, many believe big corporations only will buy back stock or pay dividends to shareholders. Either way, a buyback will increase the value of stock and/or dividends paid to stockholders will give those stockholders more money. If stockholders feel wealthier, there is an income effect. Remember when stocks were at all-time highs in the late 1990s? 401(k)s and other pensions were at high valuations and average Americans felt wealthier and spent more, and our domestic economy was on fire. This happened under the Clinton administration—not to be political here, but my point is under either Republican or Democratic leadership, if you prop up large corporate valuations, you charge up the economy for the average American. It’s for this reason I believe this tax cut on C corps will be good for U.S. economy and will make it more competitive globally. That said, this decrease in corporate tax rates is largely irrelevant to our specific clients because it does not lower taxes for small businesses, most of which are organized as pass-through entities, such as sole proprietorships, partnerships, limited liability companies and S corps. How will the new law affect me personally? Individual tax rates have been lowered. The current individual tax brackets are being adjusted downward, so taxes paid based on taxable income will be less for individuals than the current tax brackets. Sounds good, right? Not so fast. Many of our deductions will be limited, which may serve to increase our taxable income which in turn will cost more in taxes. The largest limitation getting the most play in the media is the state and local tax deduction (SALT), which is capped at $10,000. Unfortunately, this is a “biggie.” State income taxes and real estate taxes usually amount to quite a bit more than $10,000. 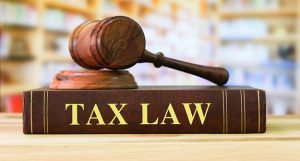 In certain states, a $10,000 limitation disqualifies a very large deduction that folks have used in the past to significantly reduce their tax burden. Continuing with the itemized deduction limitations, the mortgage interest deduction, which was capped at $1 million, will be reduced to $750,000. Don’t worry if you currently have a mortgage of up to $1 million that was written prior to Dec. 15, 2017, and closed by Dec. 31, 2017. You are grandfathered in. In addition, home equity loans will no longer be deductible. Sounds like our itemized deductions are getting crushed. They are, but part of the law has raised the standard deduction from 13,000 to $24,000 for a married couple. This is a “gimmie” that an individual can automatically take, rather than deducting itemized deductions. So, about half of all taxpayers who used to itemize won’t need to anymore and will use the increased standard deduction. The problem is that many who in the past had far more than $24,000 of itemized deductions through SALT, mortgage interest and home equity interest deductions will see most of those deductions disappear and, in turn, probably pay more in taxes. Repeal of the personal exemption. Under the old rules, taxpayers received an exemption of $4,150 for each family member (or $16,600 for a couple with two kids). Under the new law, personal exemptions have been eliminated. Alternative Minimum Tax (AMT). Taxpayers with certain deductions are required to compute taxable income under an alternative code, and if the resulting tax liability is higher using this method, they are subject to the higher tax. For most of our clients who are in AMT, it’s caused by higher SALT. The new law, while retaining AMT, raises the exemption limit for the AMT calculation from $208,400 to $ 1 million for a married couple filing jointly. This move will reduce drastically the number of taxpayers subject to AMT. Alimony. Under the old rules, making alimony payments were deductible to the payor and taxable to the payee. For divorces signed after Dec. 31, 2018, there will be no deduction and payments will not be taxed to the payee. This provision is likely to make divorce planning trickier, as the payor is usually in a much higher tax bracket than the payee, and therefore this provision will add additional revenue for the government while increasing the combined tax bill for a divorced couple. Child tax credit. Under prior law, a tax credit of $1,000 per child was phased out beginning at $110,000 for joint filers. The new law increases this credit to $2,000 with the phase out for joint filers beginning at $400,000. Health insurance. The individual mandate under the Affordable Care Act is repealed, so an individual will not have to pay a fine for not having health insurance. However, the company mandate is still intact for firms employing more than 50 employees, who must provide insurance for employees. Currently pass-through entity (sole proprietorships, partnerships, LLCs and S corps) taxation is based on individual tax rate brackets. Under the new law, pass-throughs are still taxed at the individual level, but there is a deduction allowed for 20 percent of pass-through income. However, to prevent owners of pass-throughs from reducing their W-2 wages, thereby increasing pass-through earnings that qualify for the exclusion, a limitation on the deduction is phased in based on W-2 wages above a threshold of taxable income. Generally, the deduction is limited to 50 percent of the W-2 wages paid by the business. The pass-through exclusion is available for service industry firms, like landscape companies, among others, but it’s not available for professional firms such as lawyers and accountants at certain income levels. If you are not organized as a pass-through entity at this point, you should seriously think about it for 2018. Bonus depreciation. The new law extends and modifies bonus depreciation, allowing businesses to immediately deduct 100 percent of the cost of eligible property in the year it is placed in service, through 2022. The amount of allowable bonus depreciation will then be phased down over four years: 80 percent will be allowed for property placed in service in 2023, 60 percent in 2024, 40 percent in 2025 and 20 percent in 2026. The new law also removes the rule that made bonus depreciation available only for new property; therefore, used equipment now qualifies. Sec. 179 expensing. The new law has increased the maximum amount a taxpayer may expense under Sec. 179 to $1 million and increased the phase out threshold to $2.5 million. These amounts will be indexed for inflation after 2018. The new law also has expanded the definition of Sec. 179 property to include any of the following improvements to nonresidential real property: roofs; heating, ventilation and air-conditioning property; fire protection and alarm systems; and security systems. Interest deduction limited. Business interest used to finance equipment, A/R and credit lines will be limited to business interest income received plus 30 percent of EBITDA. This will limit a firm who is marginally profitable or shows a loss to borrow to bring that business back to health or grow the business. Net operating loss (NOL) deduction. Under prior law a business that sustained a net operating loss could deduct 100 percent of that loss against future income (up to 20 years). The business could also carry it back two years and amend those tax returns and get an immediate refund of taxes to help them through troubled times. The new law removes the ability to carryback a NOL and only allows an 80 percent reduction of income for future years; however, the loss may be carried forward indefinitely. Estate tax. Currently estates become taxable at the $5.6 million level ($11.2 million for husband and wife). The new law doubles those amounts. This could be a very large tax savings to family businesses who are passing ownership to the next generation or selling their business and passing the proceeds on. While there are many other aspects to the new law, the above summarizes the key aspects that will affect our clients and friends. Based on what I’m seeing, most of our friends and clients will not be saving much under the new plan and, in many cases, they may see a rise in their taxes. However, there are many tax-planning opportunities that should be put in motion now to save on taxes in the future.